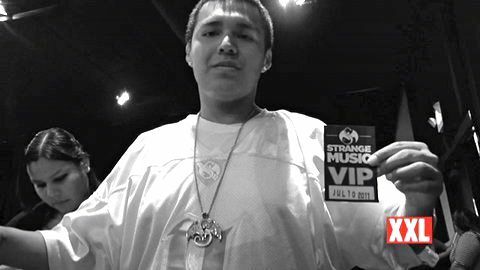 During Tech N9ne’s All 6’s And 7’s Tour stop in Minneapolis, XXL stopped in to capture the incredible experience that fans receive with their VIP Meet And Greet packages. With a line out of the venue, XXL witnessed just what it is that makes Tech N9ne’s relationship with his fans so special. Speaking to XXL, Tech discussed his feelings on the Meet And Greets, and how they are rapidly growing by the year. He also shared his fear that soon enough, his fan base may be too large to be able to meet demand on pre-order packages. After signing 7,000 pre-orders for All 6’s And 7’s, he can only imagine that it will be bigger by this time next year. The video also features cameos by Kutt Calhoun and Jay Rock, both of whom explain the drive that it takes to grind on the road. Never letting his fans down, Tech insists that no matter what, he will always be willing to connect directly with his fans.